I love this picture of my daughter and her dog Sawyer when Sawyer was just a little puppy that I have scrapped it into a traditional page and now a digital layout. This project was quick and easy….so much faster and more portable than traditional scrapping! I used the beautiful SVG “lovely” from Endless Birthday Wishes…gosh I just love the word brushes in that set! I also used the new “Gorgeous Grunge” brushes, I love that stamp set so much and I am thrilled its available in digital form now! I hope you are having a fantastic Sunday and find a few minutes to do something you love! You can find all the fun things I used below, click on the picture to go to my online store to purchase! 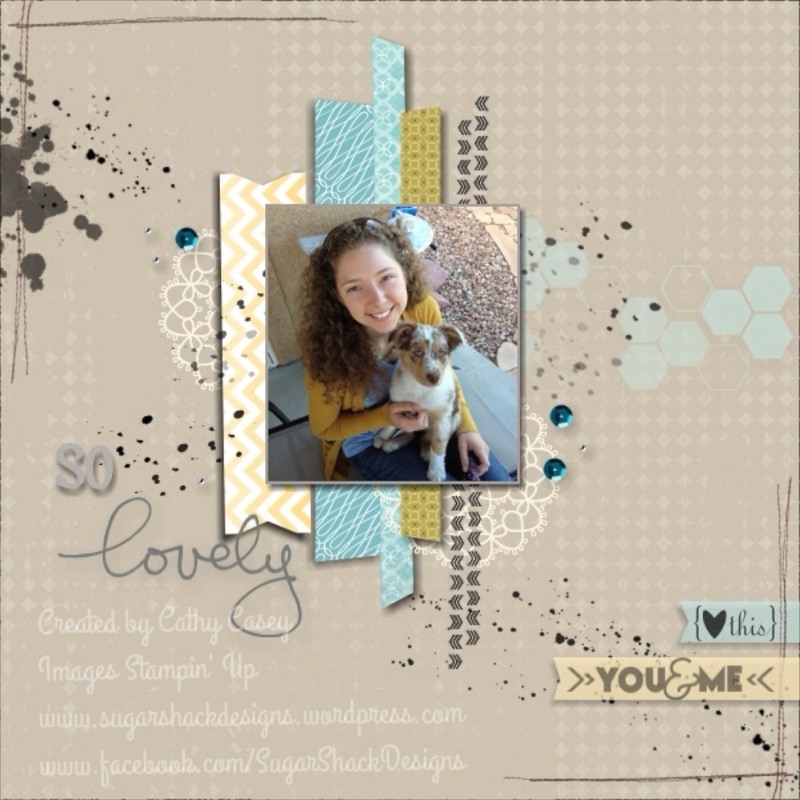 This entry was posted in 2013 Artisan Design Team Finalist, My Digital Studio, Scrapbooking, Stampin' Up by kate80132. Bookmark the permalink.